The history of Hickman County is very important to the people of not only Hickman County but to the counties that were created out of the "Mother" county or Hickman County. Hickman County was known to early French explorers as the "Iron Banks", to the Chickasaw Indians as "the Dark and Bloody Land" or the "Happy Hunting Ground," to the early settlers as "the Promised Land," and finally to one and all who live here as "God's Country" or "Home". 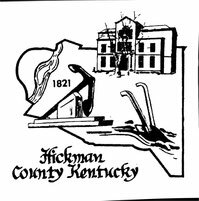 Organized in 1822, Hickman County was named for Capt. Paschal Hickman, a hero of the War of 1812. From gently rolling knolls, abrupt hills, and deep ravines, to the rich bottomlands next to the river, all can be found in this 225-square-mile county. The county is an agricultural region with mainly corn and soybeans being grown. It is bordered on the north by Carlisle County, on the east by Graves County, on the south by Fulton County and Tennessee and on the west by the Mississippi River. It is impossible to know the exact date that explorers first stepped foot in Hickman County and surrounding area. It is thought that as early as the summer of 1780 could have found men in the vicinity of the as that is the same year that Fort Jefferson, in Ballard County today, was constructed. Indians did no more than establish the corners of various warrants. The first of these warrants were laid along the Mississippi River in what is now Hickman County and embraced an area of 4,000 acres. This warrant served as a basis for all later ones that were issued. Virginia decided to pass another act to divide this tract into town lots and also appointed trustees to control and to sell them. This was the beginning of the town of Columbus. Several years passed with no attempt to settle in this part of the state, due mostly to the Indian hostility. The first building on the town site was a block house, built in 1804, and used as a fort by troops of the United States during the Aaron Burr's conspiracy. New Book available now. The Golden Age of Hickman County " The Difficult Years"
The society has copies of the Hickman County Gazette from about 1932 thru 1972 that can be read or researched. There are a few that are dated in the 1920's also, We also have the Hickman County Times from the first issue. 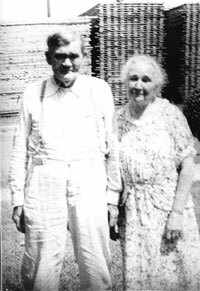 There are census, marriage, birth and death records, deeds, wills, tax list, obituaries, family files and several books on different Hickman County families. We have research material from other counties in Kentucky, Tennessee, Georgia, Missouri, Illinois and several other states. 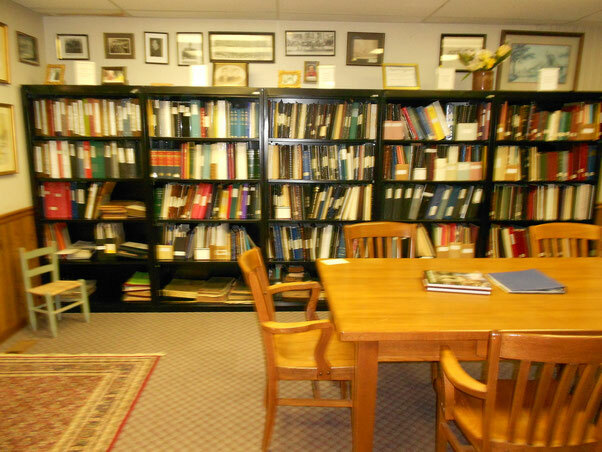 We have a lot more research material and pictures. We are always looking for any old pictures and old records of any type to put in our records. More to come later just getting started on site. Will have store up soon to purchase books. We will have more info at a later date. If you have any questions please send us an email and we will try to answer. Many interesting facts about one's ancestors can be found when researching your family. During the research of my great-grandmother, Mary Virginia Farrow, I discovered that she was left an orphan. My Mother did not know this about her grandmother. I also found out that Mary never got to see her father because he died before she was born. Mary Virginia Farrow was born on May 4, 1864. Her parents were Jesse Farrow and Eliza Richardson Farrow. Her father was in the Civil War but did not survive the armed conflict for he died in February, 1864, just about three months before she was born. I discovered, during my research that after her father died, her mother turned her over to the courts when she was about one year old because she could not care for her. Mary lived in the Samuel Hall home for about six years then she went to the Richard Slatton home for about the next ten years. She married her husband, Wiley Denton, in 1882. They were married for sixty years and had three girls and two boys born to this union. This was written by Pam Ward, a member of the Historical Society, who is the great granddaughter of Mary Virginia. If anyone has info on any of these people, please contact Pam through the Historical Society. Any help would be most appreciated.